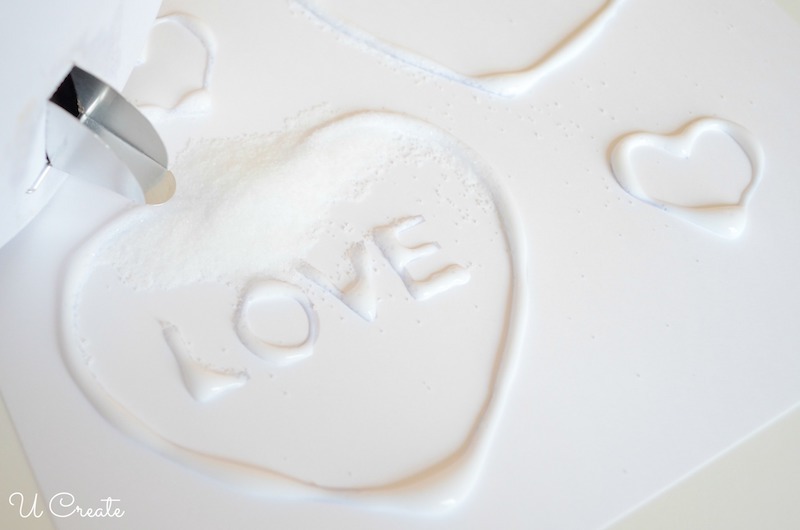 Have you heard of salt painting for kids? It’s basically like making your own puffy paint with a couple of steps. 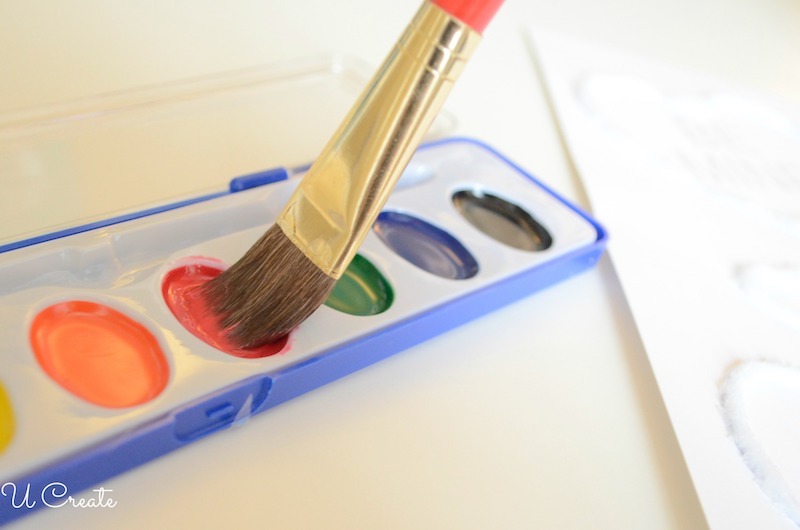 My kids love painting with it because it’s so much fun watching the water colors absorb! 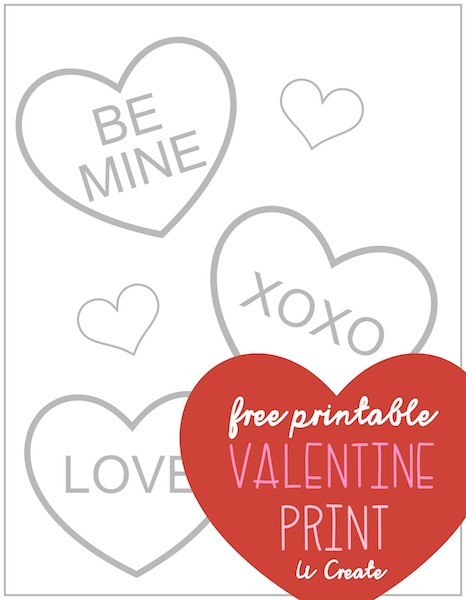 Print out Valentine printable on white cardstock. Pour salt on the design – similiar to the way you use glitter. 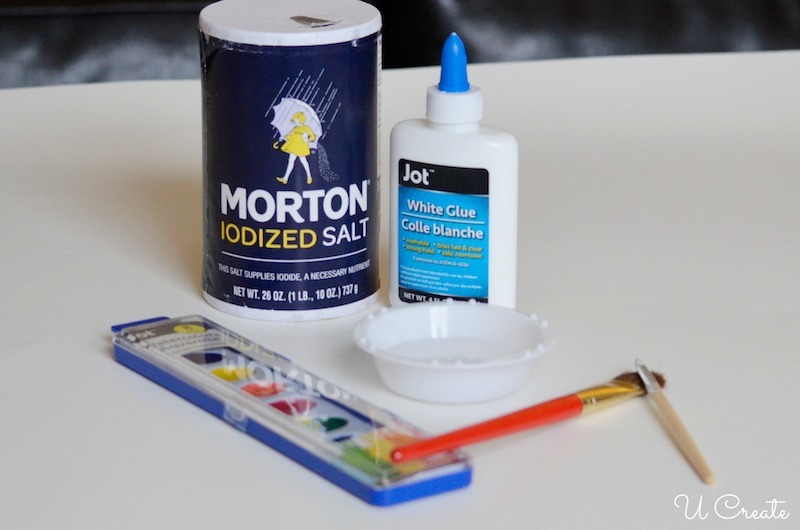 Make sure to cover your art with plenty of salt to make sure that all the glue gets fully covered in salt (the watercolor won’t spread without the salt). Lift up the cardstock and gently shake off the excess salt. 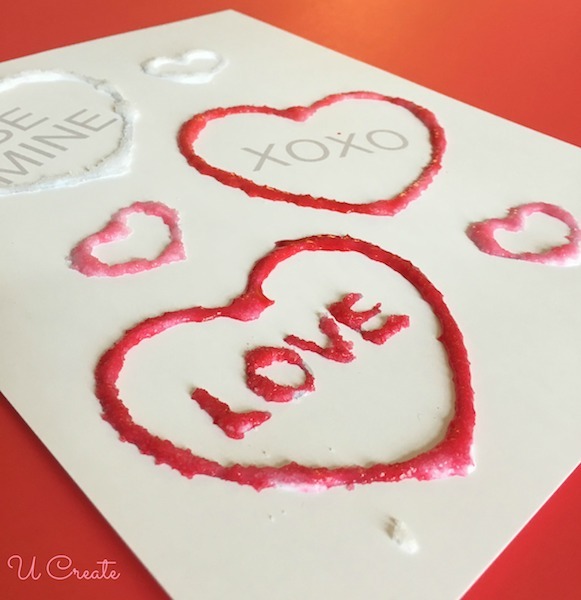 Paint design with water and watercolors! 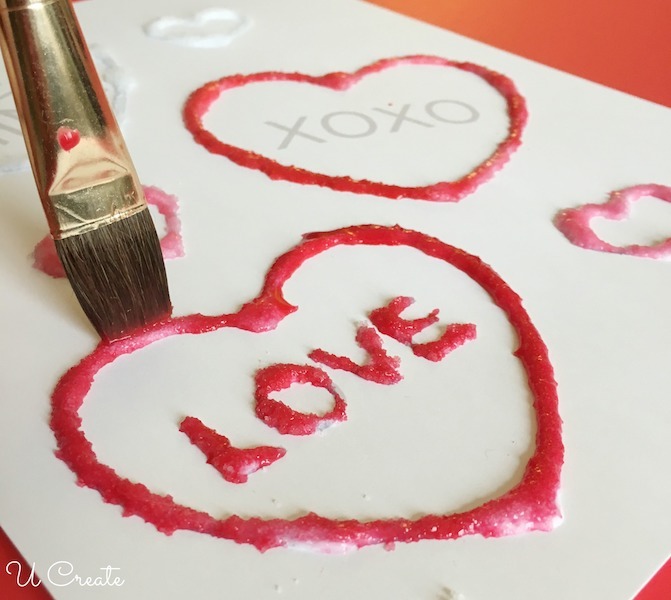 Lightly dip your paintbrush into the watercolor. Don’t dip too much or the paper will become soaked. 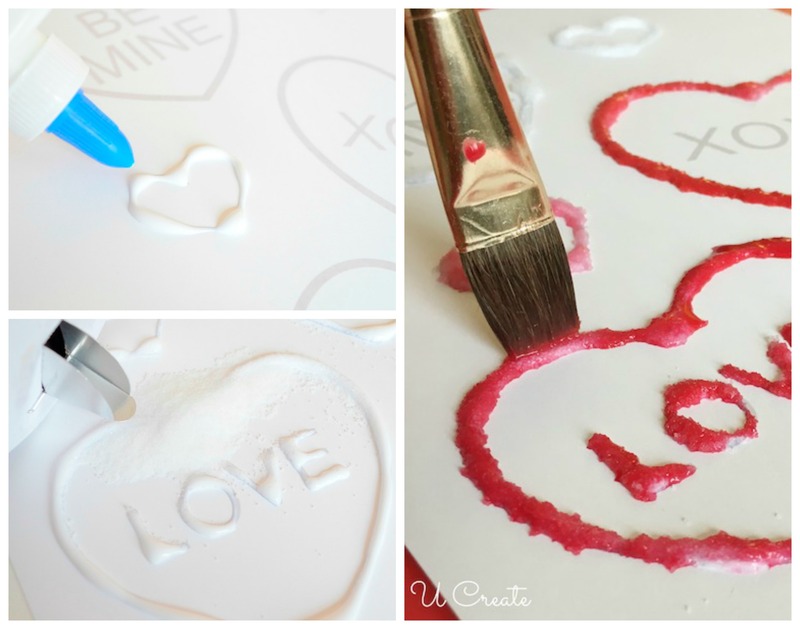 Dip the paintbrush onto the hearts and watch the salt absorb all the color! 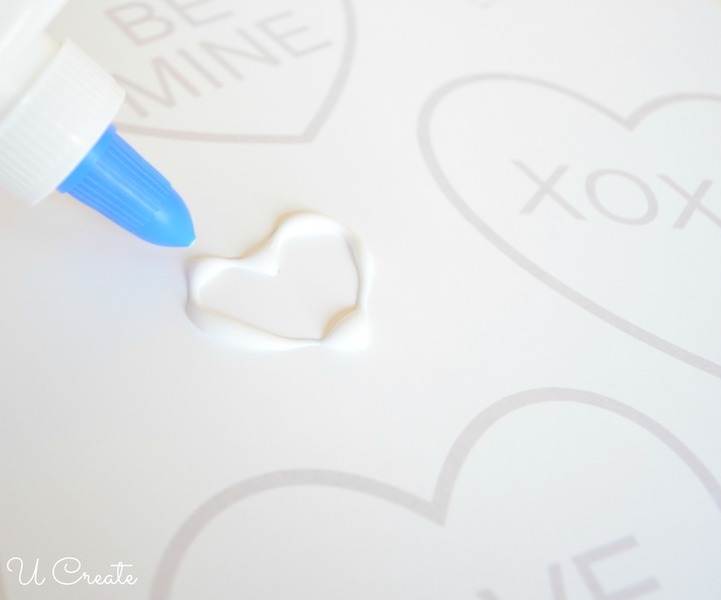 Craft Tip – Place cardboard or plastic underneath the cardstock so that your workspace does not get wet. Once you are done painting let completely dry.